Happy International Mindful Eating Day! 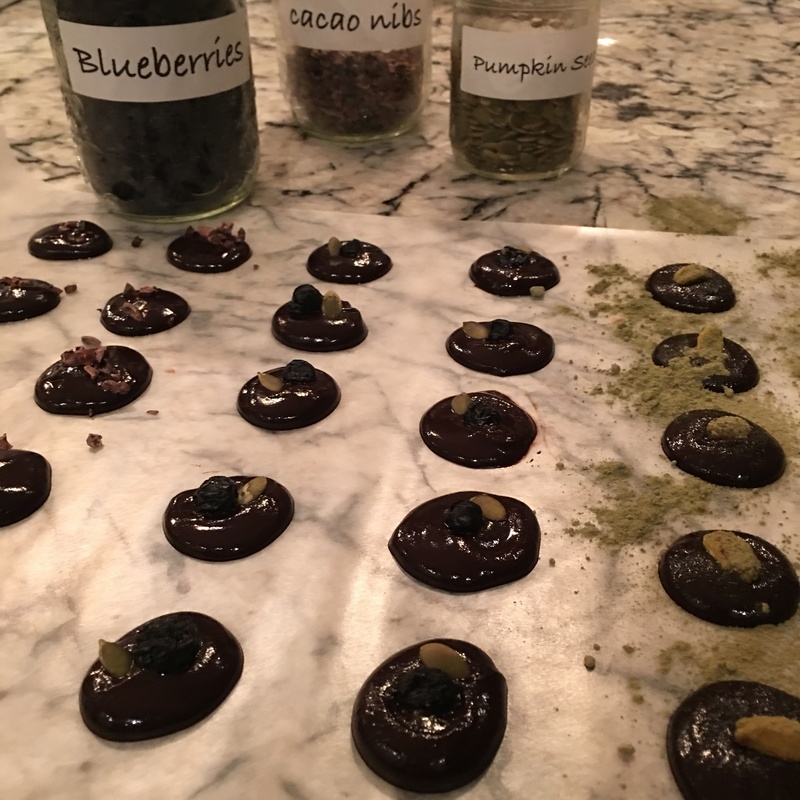 To celebrate, try whipping up these super fast & easy homemade chocolate made with 3 simple ingrdients & no preservatives. Then do a mindful eating meditation with the chocolate. In a small pot over low heat, melt the coconut oil. Add honey & whisk until dissolved. 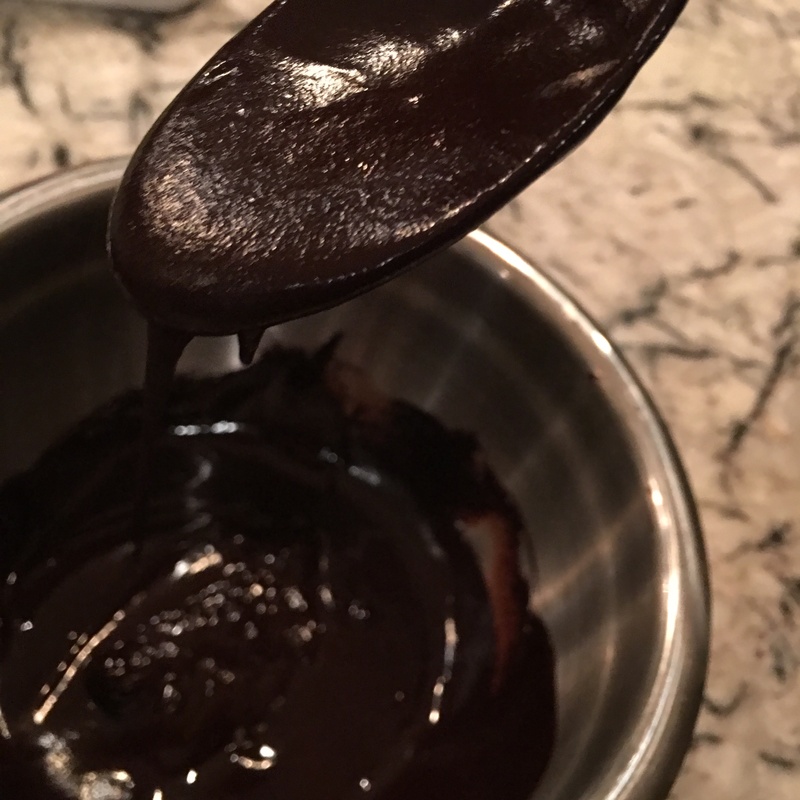 Continue to whisk until you see the chocolate become “glossy”. Remove from heat. On a counter or a baking sheet covered with wax paper, put teaspoon size dollops of chocolate. Chill until set. Keep refrigerated. 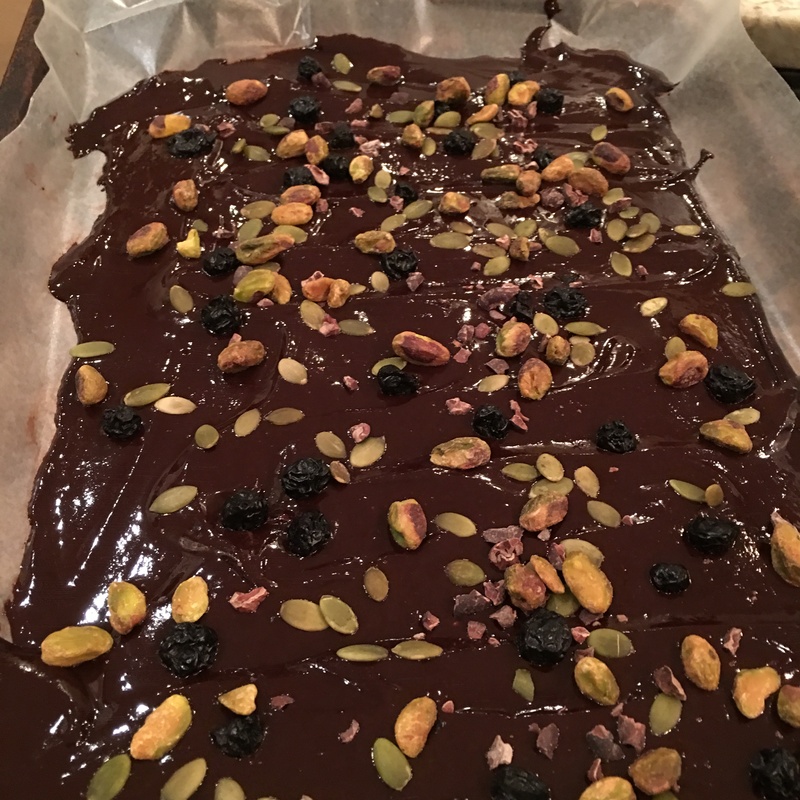 You can also spread the warm chocolate on a baking sheet covered with wax paper. Chill until set. Break the bark into pieces. Keep refrigerated. You can get really creative with this recipe! Add essential oils // peppermint, vanilla, orange, lemongrass, bergamot, ginger, cardamom… The Light Cellar carries great, local oils you can add to your chocolates. Top it off // chopped candied ginger, dehydrated orange slices, citrus zest, cacao nibs, dried blueberries, dried cranberries, coconut, sea salt, matcha powder, dehydrated banana, pistachios, puffed quinoa, walnut pieces. Notice the weight of the chocolate in your hand. Look closely at the chocolate. Notice the shape, colour, texture, the way it casts shadows or reflects light. Use at least 3 words to describe it to yourself. Bring the chocolate up to your nose & inhale deeply. Notice any thoughts that come to mind as you smell the chocolate. What thoughts come to mind? “I deserve this” or “I shouldn’t eat this”? If so, let the thoughts come & go like clouds moving across the sky. Do you have any strong or powerful feelings or memories (positive or negative). Put the chocolate in your mouth. Notice the flavor, richness, creaminess. Notice how the texture of the chocolate changes as it melts in your mouth. Swallow the chocolate. Follow the chocolate as it slips down your throat into your stomach. A lot of work to eat a piece of chocolate, huh?! 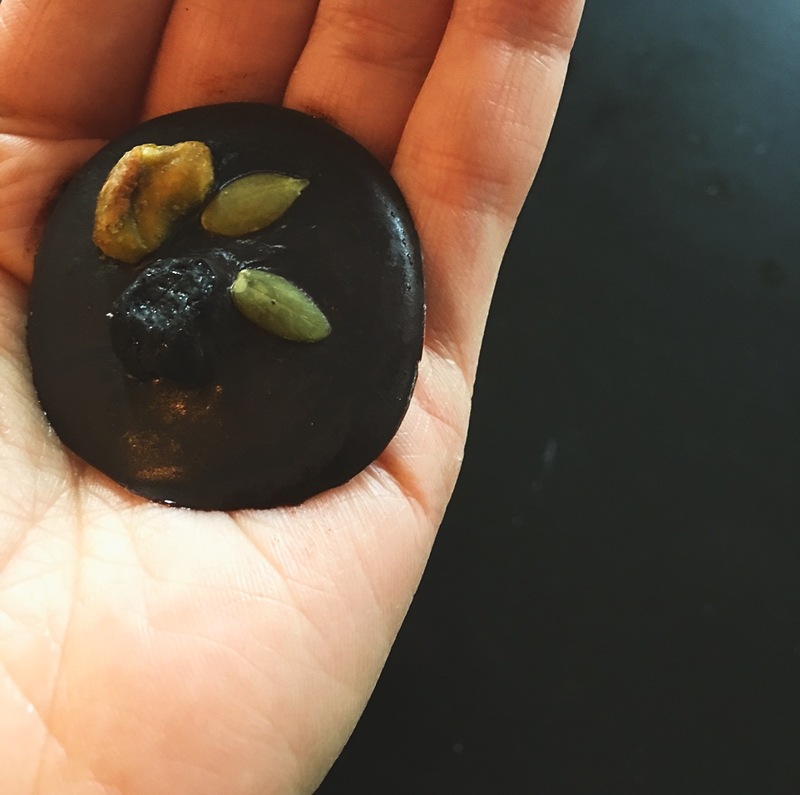 Carry this practice with you the next time you eat a piece of chocolate. But also try to use these mindful eating practices of attending to your food, & tapping into all your senses with every snack & meal you eat today. Always remember that mindfulness is a journey, & mindful eating takes practice.